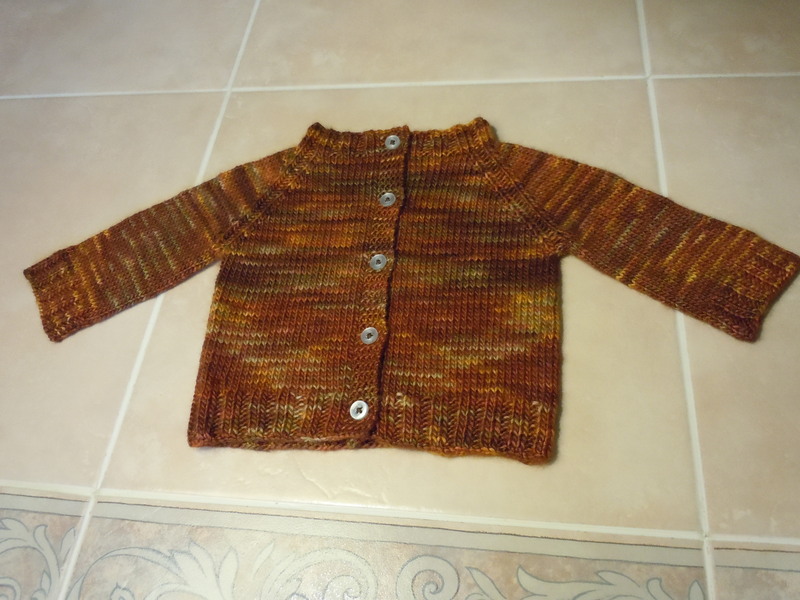 Autumn Baby Sweater – Complete! I’ve done it again! Another completed project! I love the mottled effect. I used Manos del Uruguay Silk Blend in “Prairie” with size 4 and 5 needles. 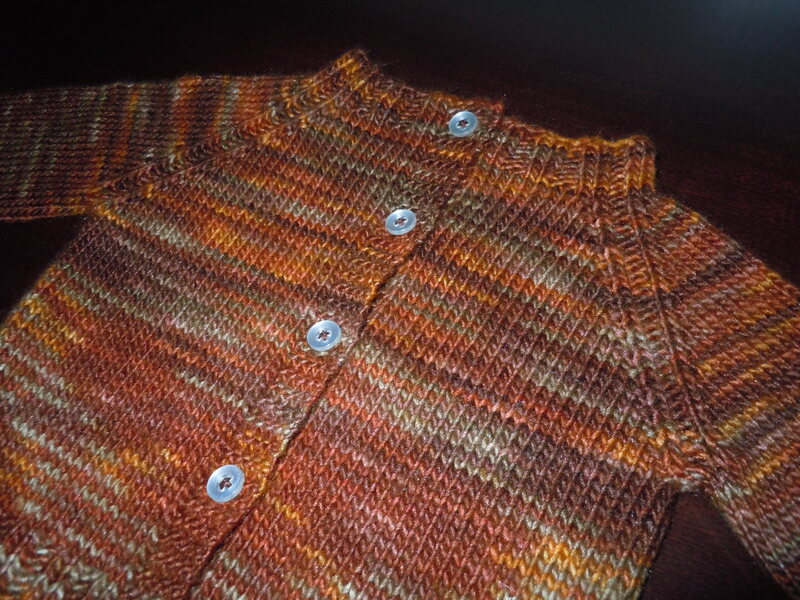 The sweater took less than a skein and a half to complete. I think it came out true to size. (I was going for newborn.) I’m in the process of making a matching hat to go with the sweater. Hopefully everything will fit for the ride home from the hospital! The stitch definition is marvelous! So there you have it, folks. Another success. On to the next project! Well folks, I have good news and bad news. The good news is this sweater is just about done. 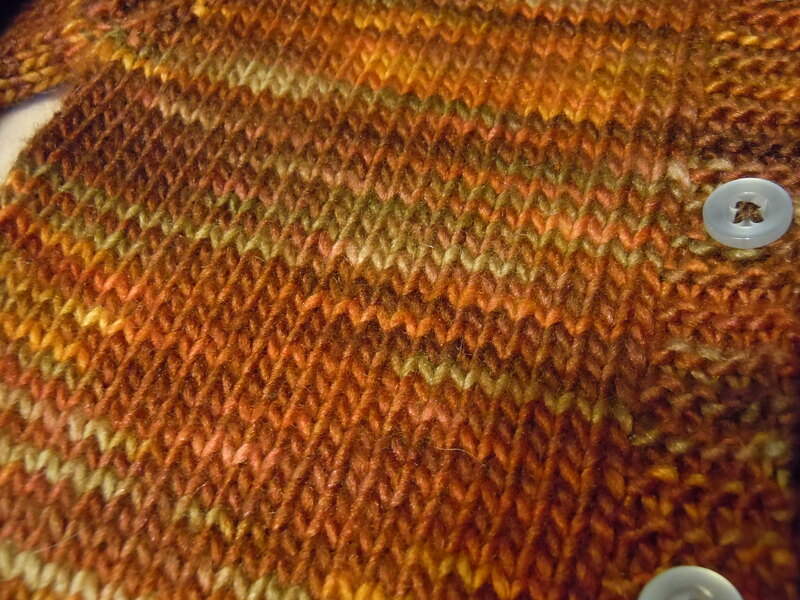 All I have left to do is six rows of the ribbing on the second sleeve. The bad news is I have no pictures to share, and I probably won’t be able to post very often anymore due to limited internet access. I have since moved from a very populated area to a sparsely populated area, and I suppose those of us that live in the boonies don’t deserve decent signal. 😦 I’m pretty sure I won’t be getting any sort of “land” internet connection since it’s so expensive. Money is pretty scarce right now in this household. I hope to be able to use the internet at other people’s houses (lol) on a fairly regular basis. After all, I’m completely addicted, and I can’t go without blogging and Ravelry forever!